Anyone near New York want to play SWOS? Hi guys, sorry to resurrect an old thread, but this seemed appropriate, and I didn't think it warranted a new thread. I've been getting back on the sensi band wagon over the last year or so, but am in the USA, so too far away to play online with anyone. I've been using a Buffalo classic gamepad for now (http://www.amazon.com/Buffalo-Classic-USB-Gamepad-PC/dp/B002B9XB0E), and while it does the job, I think there must be something better out there. Been thinking of picking up a Gravis gamepad. Does anyone have experience with both? Does one feel better than the other? And what about the Gravis pro? Is there any lag due to the converter? 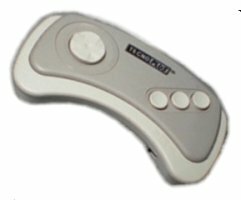 Any recommended usb joysticks I should try apart from the Quickshot or turbo pro? Or are there good modern usb versions of those available. I bought one (turbo pro) a few years ago, and ended up giving it to a friend as it didn't feel right. Maybe I didn't give it enough time. Apart from that, my favorite was always the Cruiser. It's awesome for Sensi and allows you to adjust the stiffness of the shaft (tehehe) to suit your preference. Raphnet and RetroUSB should be lag free. Replicas of classic joystick aren't so good, don't buy them. Hey guys. Does anybody know this old gamepad? I loved it as i was a child and i really would like to play again with it. Does anybody has an idea, where to get it? It is called "Techno Plus TP 511". Look it up on ebay .de .co.uk .nl etc. Maybe you get lucky. However there are quite a few good gamepads out there. I know a lot of the top players use the Gravis PC Gamepad (Playaveli, Bomb, Lemonheadiv, Emmeti to name a few). @itchy: when we meet in june (connected cup), I bring a few of them, so you can test them. Itchy, I have one of these, check below. If you like to have it, contact me! It looks a little bit different, doesnt it? Try Gravis Gamepad or Super Nintendo Pad if you like a soft vs. hard D-Pad (also Wii-Classic Gamepad ist good as they just try to clone the Super Nintendo Pad and D-Pad feels like Super Nintendo Pad, for me). With Super Nintendo Pad and Gravis you need an adaptor to play on a real Amiga. that Gravis you have does it come with a stick? And also does it have USB connector? Poul, got a picture of a keypad? This might be of interest to justnico! Well, I know this is an old topic. But it would be great for the Sensi Days in Almelo next week if I could use one for these keyboard controllers in the tournament. Otherwise it's playing with 'keypad' I guess, and then 'down' is just one key too far away I guess.